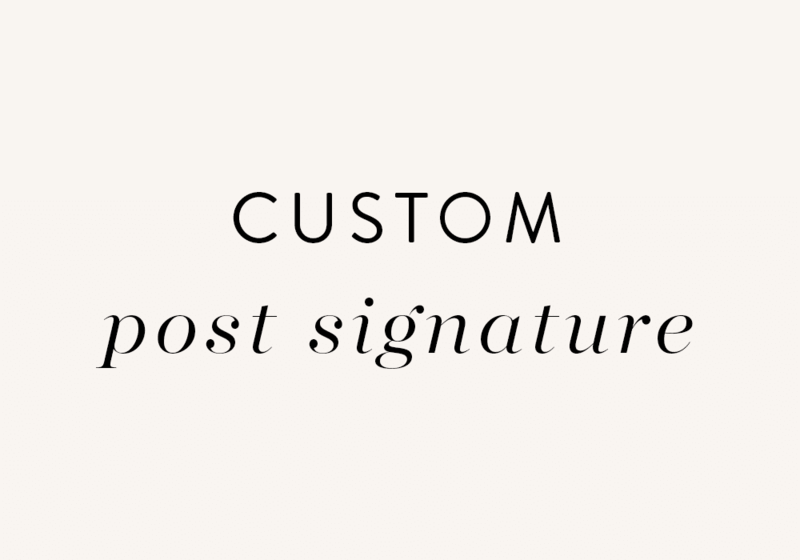 Add a little flair to your blog posts with a custom post signature matching your theme. A post signature is a small graphic image that appears at the bottom of your blog posts. 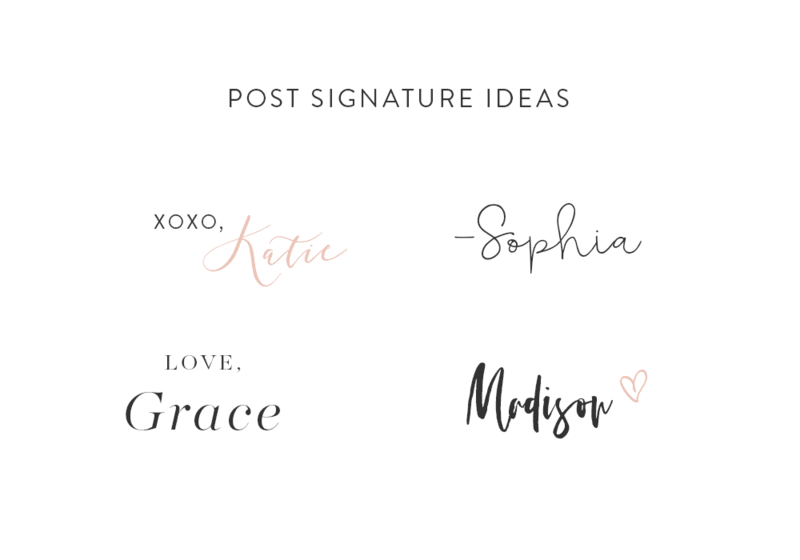 Post signatures are a great way to add a touch of personalization to your blog, and we promise it’ll make your posts that much more memorable! Just like a regular signature, it’s comprised of your name (and sometimes a little something extra like a fun heart symbol). You can view examples of post signatures below.